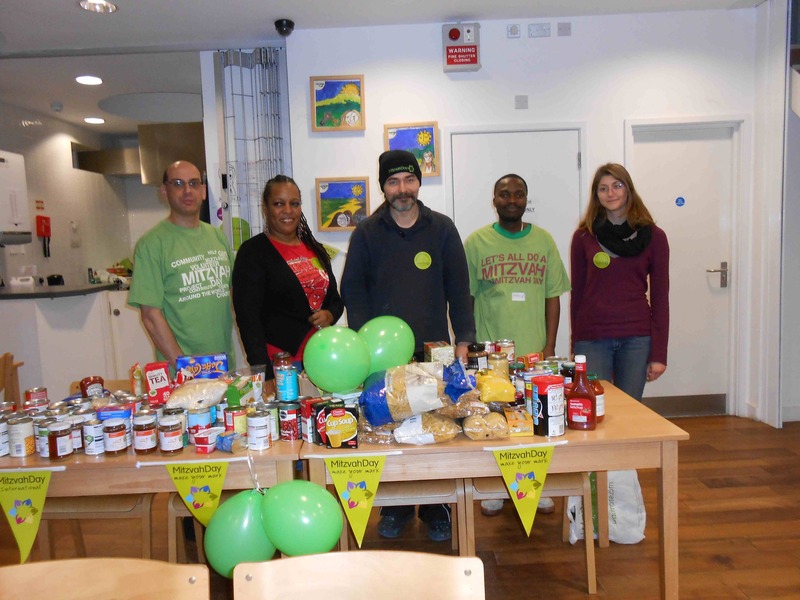 For our Mitzvah Day activities this year, we collected food, toiletries, crockery, cutlery, and glasses for Jason Lee House – which provides temporary accommodation for the homeless. Thanks to the generosity of our members, we took four car loads of donated items to Jason Lee House. The picture (above) shows Rabbi Richard Jacobi with staff and residents at Jason Lee House along with some of the items donated by members of Woodford Liberal Synagogue. Meanwhile, our Cheder children discussed the concept of Mitzvahs and what they could do as a Mitzvah for others. They also made flowers, tagging the flowers with their promised Mitzvahs, to create a garden where their promises can grow.